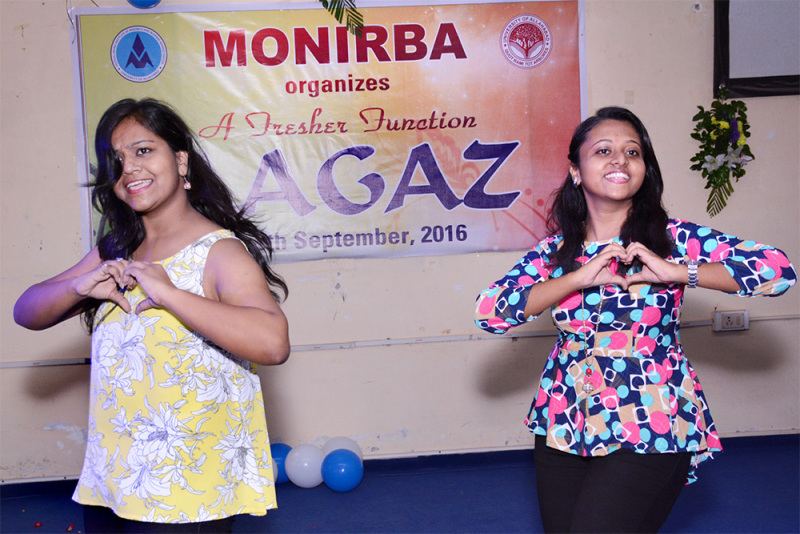 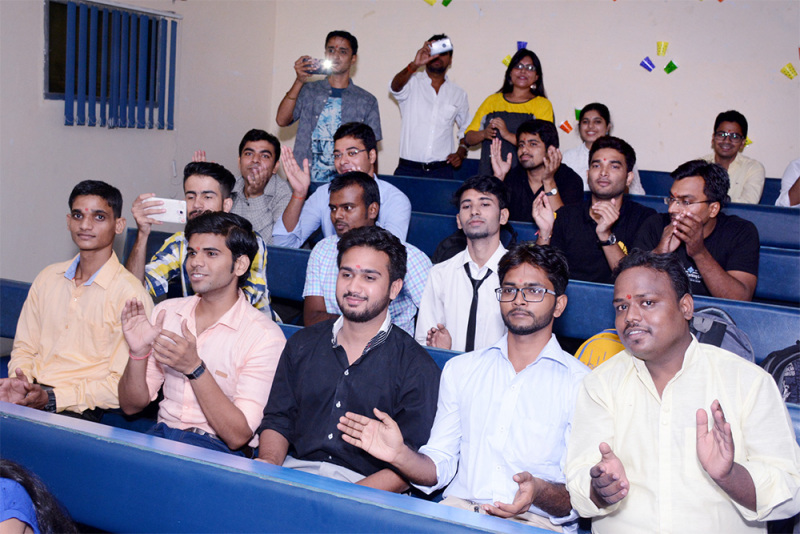 A new batch of students of MONIRBA were accorded a royal welcome at a formal Fresher's Function - 'AAGAZ 2016' in style. 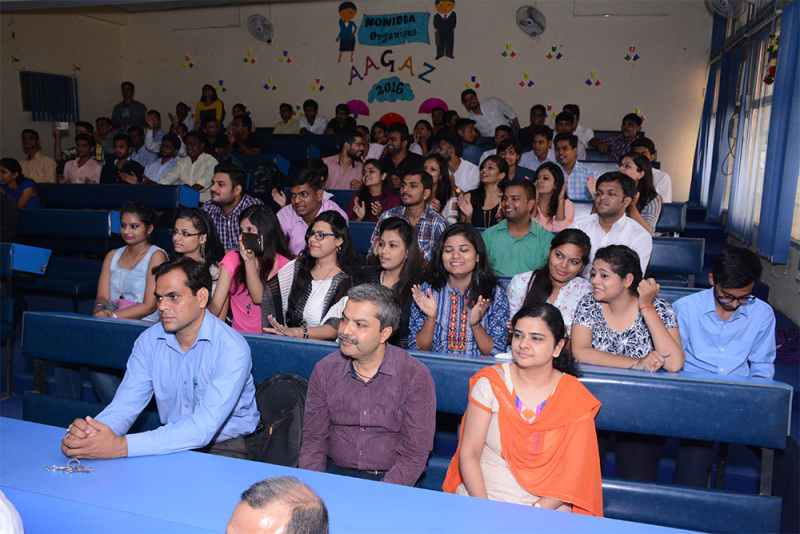 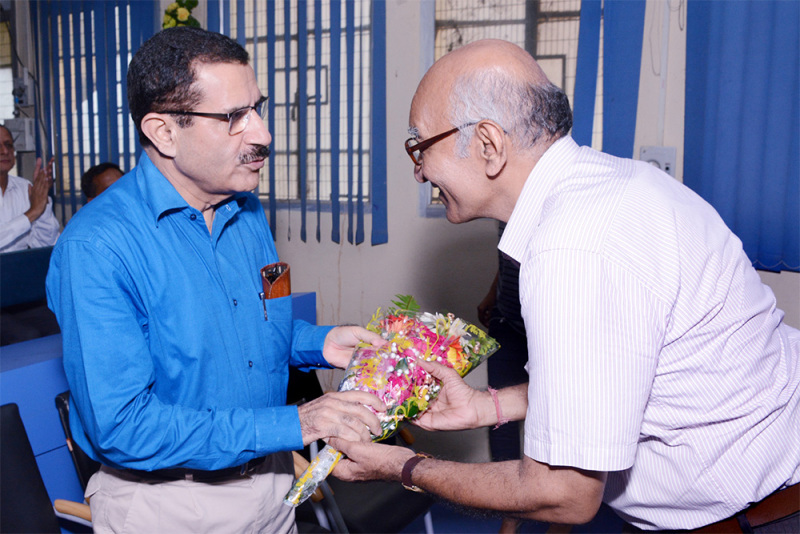 Allahabad University Vice Chancellor Prof. R. L. Hangloo was the chief guest at the occasion. 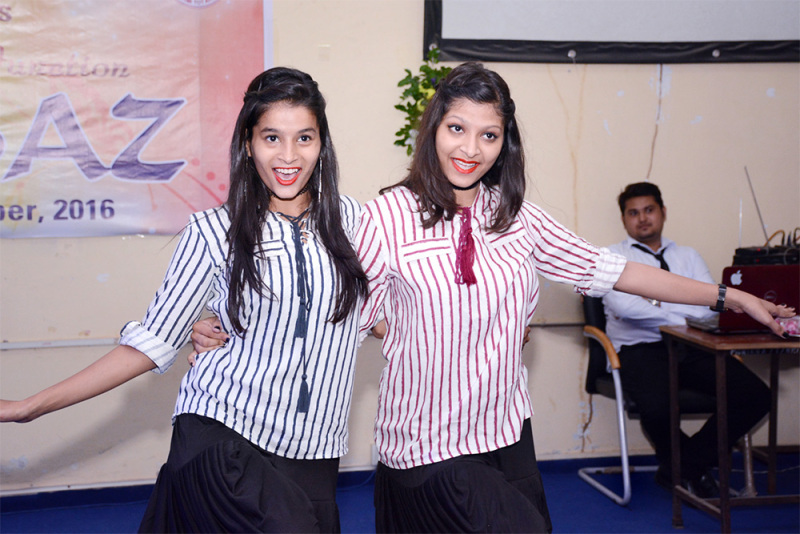 A cultural program was also organised to make the day special. 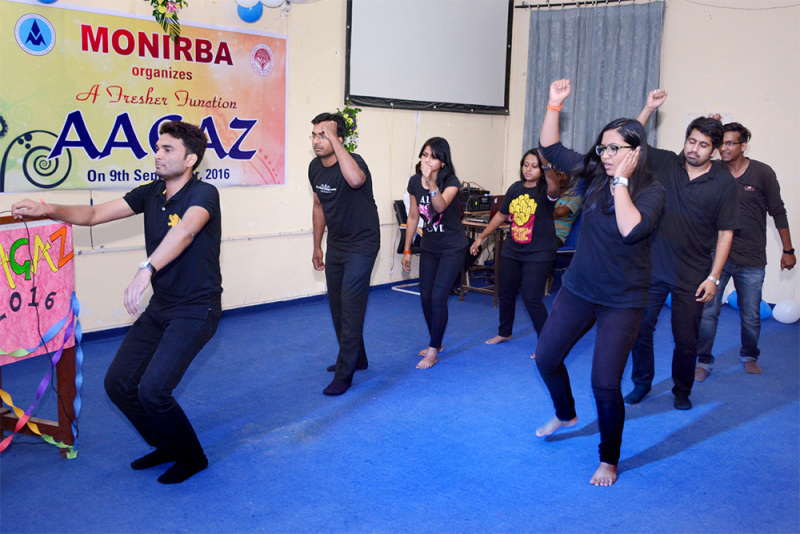 It was full of music and dance besides a short skit taking a dig at the present political scenario. 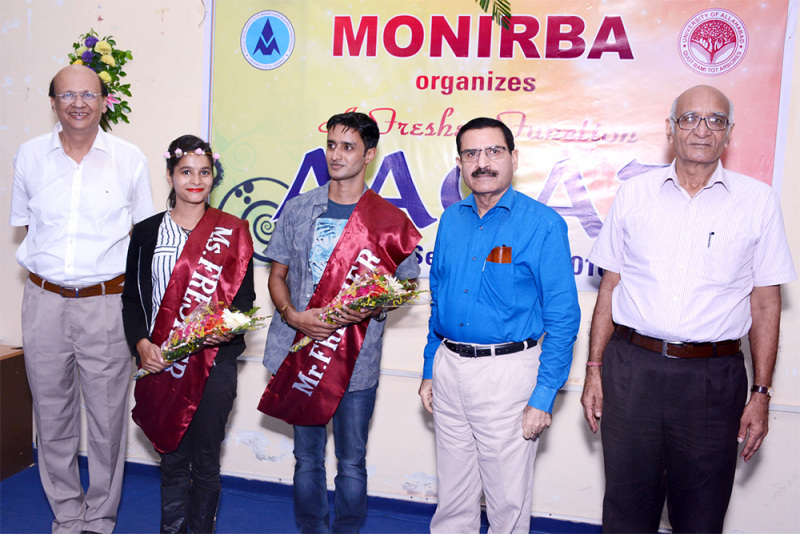 The event saw Mohini and Vishwanath walk away with the Miss and Mr. 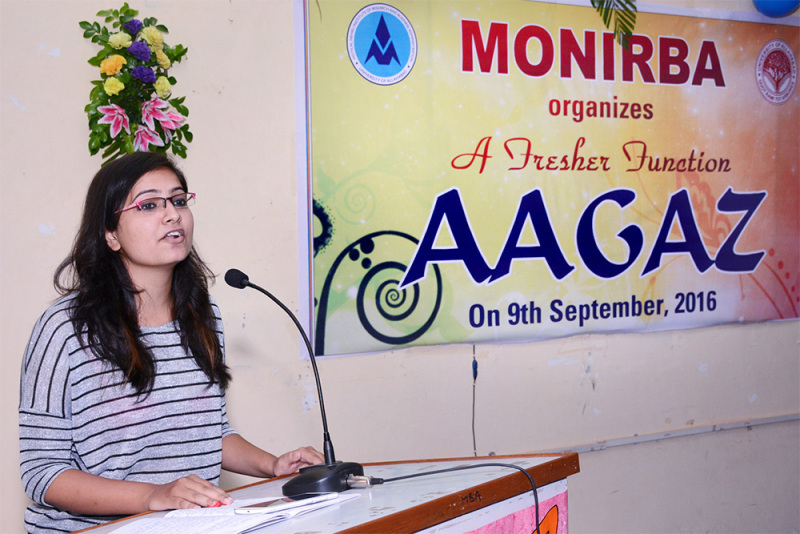 Fresher Titles. 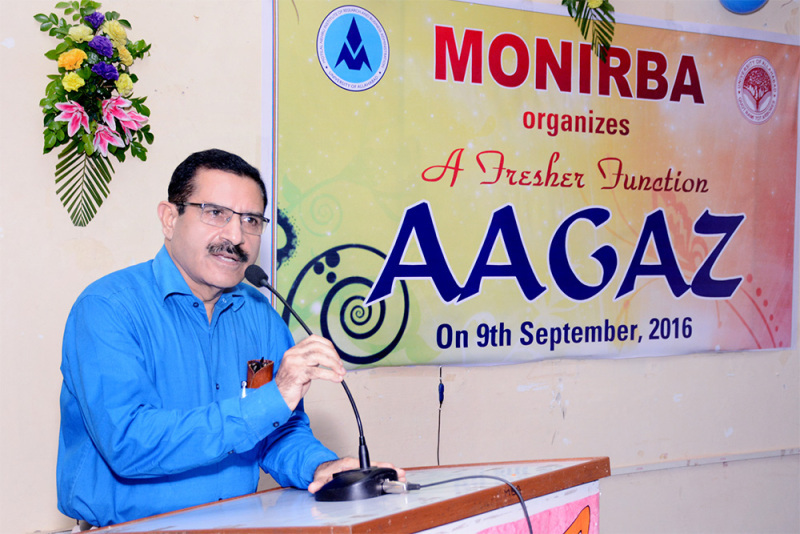 Those present involved MONIRBA Director Prof. Anil Srivastava as well as Training and Placement Officer of the Institute Prof. A. K. Singhal.